Dr. Wurm specializes in pulmonary medicine and critical care with a special interest in bronchoscopic evaluation of lung diseases. He is a graduate of New York College of Osteopathic Medicine. He completed a residency in internal medicine at Beth Israel Medical Center, where he also served as chief resident. He then finished a fellowship in pulmonary and critical care medicine at Beth Israel Medical Center. 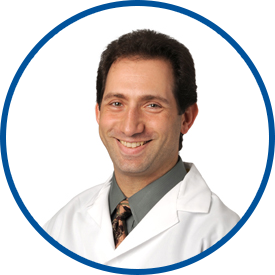 Prior to joining WESTMED, Dr. Wurm was a pulmonary and critical care physician at Beth Israel Medical Center, where he provided inpatient and outpatient pulmonary care and management for the Surgical and Medical ICU. He was also a pulmonary and critical care physician at DOCS-Continuum Health Partners and Northern Westchester Hospital. Dr. Wurm is board certified in pulmonary medicine, critical care medicine and internal medicine. He is a Fellow of the College of Chest Physicians and a member of the American College of Physicians. Affiliations are with White Plains Hospital and Greenwich Hospital. *Emanuel Wurm is one of the very best. *Dr. Wurm is amazing! No dr. could be better. He a great Doctor . cannot recommend Dr. Wurm highly enough! The best doctor I have ever visited. Dr. Wurm spent a lot of time answering all my questions. I really appreciated not being rushed, as much as the answers and information he shared with me. It was a pleasure working with Dr. Wurm. He was welcoming, friendly, kind and made sure to get a thorough picture of who I was. Answered all my questions and made me feel at ease. He is extremely knowledgeable and I will be sure to recommend him in the future! My mother and I had a back to back appointments with Dr. Wurm and he was awesome. He listened to our concerns and made us feel comfortable and at ease. He is the true definition of a Doctor. it was a pleasure having him serve us from start to finish - he even walked us out! Usually doctor's leave and have the nurses finish up. We look forward to working with him in the future and referring fam and friends! Besides being an excellent doctor who I trust with my lung health *Dr. Wurm is caring and considerate person. I feel fortunate to have him as part of my WestMed team of doctors.